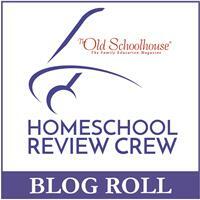 Homeschooling high school can sometimes be scary and overwhelming, but it doesn't have to be! Equipping yourself with the right information can make all the difference when choosing a course of study for your teenager. Today I am reviewing a great book full of helpful, detailed information that will make embarking on that journey less daunting - Transcripts Made Easy: The Homeschooler's Guide to High School Paperwork from Everyday Education. I received a digital PDF copy of this amazing resource, which is in it's fourth edition at the time of this writing. While I realize there are dozens, if not hundreds or thousands, of books out there written to the homeschooling high school parent - this one is a definite MUST READ. It's 129 pages of thorough, yet consise information to help any parent - regardless of your homeschooling method or style.